The enormous escalation of medical negligence claims against state hospitals will probably see payouts of up to R1.5 billion at the end this financial year. There has been a boom in claims against provincial health departments since 2012. In 2010, successful negligence claims cost the state R100 million and R1.3 billion last year. According to data from National Treasury covering the first three quarters of the financial year ending this month, payouts have escalated further. Between March and November last year, the state settled claims worth R1.1 billion. A simple extrapolation leads to an estimate of R1.5 billion for the full year – a fifteen-fold increase since 2010. These are just the claims that succeeded. In last month’s budget review, Treasury warned about the mounting contingent liability of both valid and invalid claims that have not been resolved. Treasury argued that a large amount of the liability represents frivolous claims. This potential liability nonetheless rocketed from R7 billion in 2012 to R56.3 billion last year. The claims against the state are not growing in isolation, with an increasingly active community of medical malpractice lawyers also targeting private practitioners. 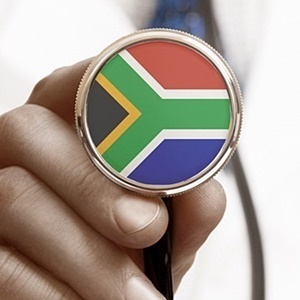 “Our data indicates that over the six-year period from 2011 to 2016, there was a 35% increase in the number of claims being made against healthcare professionals in South Africa,” said Graham Howarth, head of medical services Africa at the Medical Protection Society (MPS). The real change has been with high-value claims, he added.